Uranus change will bring in different influences depending on whether its north or south poles are tilted towards the Earth. In some years its North Pole is facing the Sun and therefore that pole is turned to the Earth; in other years the South Pole faces us. One could say that at different times we receive different types of Uranian energy. 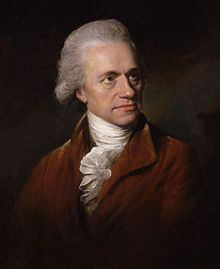 Uranus was discovered on March 13, 1781, by the German composer and amateur astronomer, William Hershel, who lived in England. The new planet was discovered in the constellation of Gemini. Initially, he thought it was a comet, but after tracking its motion through the sky for many nights, he determined that it described a nearly circular orbit around the Sun, thus making it another planet. His discovery brought him fame and fortune. He named the planet Georgium Sidus, for George the Third of England. Others suggested that it be called Hershel after its discoverer, which it was for a few years. But finally, like the other planets, it was named for the gods of Greek and Roman mythology. Uranus was the father of the Titans and the grandfather of Jupiter. Uranus circles the Sun at approximately 19 astronomical units out (the Earth stands out from the Sun at one a.u.). It has 14.5 times the mass of Earth, and measures 50,800 kilometers in diameter. Like Neptune, Uranus is a big planet. Taking eighty-four years to orbit the Sun, it has an axis of rotation that is tilted 98 degrees with respect to its north pole, and thus each pole is alternately tipped toward the Sun for a period of 42 years. Like Jupiter, Neptune and Saturn, this planet spins so rapidly (17h, 14m) that its internal magnetic generator creates a huge magnetic field. This field is about as large as Saturn’s. It is tilted 60 degrees with respect to the axis of the planet’s rotation, and is 50 times stronger than the Earth’s. When seen at wavelengths that range from the extreme ultraviolet to the infrared, the planet Uranus, much like Venus, looks as if it is covered by a veil. When viewing the planet through violet filters, one can see a polar haze. Uranus is a strange planet, stranger than any known planet in the solar system. Like the other planets, it has its cycles. The eighty-four year cycle can be divided into a 42 year cycle and then again into a 21 year cycle. Uranus exerts different influences in these cycles. Much work needs to be done the meaning of this Uranus change. Uranus orbits the Sun with a rather high eccentricity (0.044 405 586), which means that it will not always appear in the same location in the sky with the regularity of Neptune or the Earth, whose orbits around the Sun describe almost perfect circles. In 1965, when Uranus and Pluto were conjunct, the world was a rather chaotic place. In America, there were unrest and riots in the universities. And since the synod was conjunct America’s 1776 Neptune, America experienced a spiritual awakening on many levels: This was the era of drugs like LSD-25, of opening to meditation, of actually seeing into different dimensions. A renewal also was taking place in Christian thought and practice. It was in this period when A Course in Miracles was published; also Transformation of the Inner Man by John and Paula Sandford, and many other breakthrough publications. Historically, this period is called the Fourth Great Awakening, and we are still being affected by the energies that occurred then. 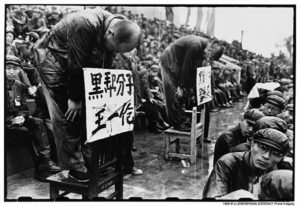 In China, beginning in the mid Sixties, a mass madness called the Cultural Revolution took place. 70 to 100 million died in that convulsion. At that time, in 1968, astronauts landed on the Moon. During this busy era, Uranus was resting at one of its equinox points. It was equally balanced, with both poles at a 90` angle to the Sun. In World War II, Uranus’ North Pole was facing the Earth. Aug. of ’43 was when the conjunction to America’s Uranus occurred at 8° Gemini, and transiting Uranus was in a partile conjunction to natal Uranus (Declaration Chart) and inconjunct natal Eris (Declaration Chart), when the cross channel invasion called D-Day occurred (June 6, 1944). Eighty-four years before the D Day cross channel invasion takes us to 1862, when America was embroiled in a civil war. 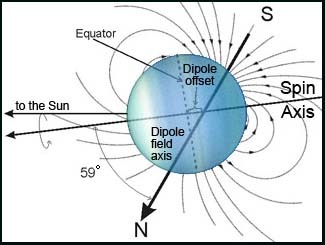 It is important to note that its magnetic field changes its polarity, when configured with the Earth and the other planets. Uranus will bring in different influences depending on whether its north or south poles are tilted towards the Earth. This would be a good area for research. Uranian influence can cause sudden disruption. If a civilization has outlived its usefulness and is slated to die, as was for example the Assyrian Empire, which held totalitarian sway over many nations in the Fertile Crescent, the Uranian influence can help to bring it down. It was a great shock to the Assyrian people when Nineveh, the capital of the Empire, fell to the Medes and Chaldean-Babylonians in 612 B.C. The Assyrian army, which had been the backbone of the empire for centuries, lasted only three more years, and was finally destroyed in 609 B.C. When humpty-dumpty fell off the wall, not all the king’s men could put him back together. Uranus’ intent is to allow the creative force free play, to grant it full expression. Its method sometimes involves a bringing in of the new, at other times a blasting out the past. Uranian figures in history are fortunate if people accept their visions. It sometimes takes centuries for that to occur. Examples exist of other epochs in which a Uranian vision will attempt to take over the world. The philosophy of Adolph Hitler was an embodiment of Uranian ideals. More of that a bit later. The Neptune/Pluto synod that occurred within one degree at 7° and 8° of Gemini, from 1890 to 1894, was conjunct America’s natal Uranus (1776 chart). From that time, America has imparted much of its Uranian vision onto the world. With the invention of mass production by Henry Ford, it was given affordable automobiles and trucks. Its inventors Edison and Tesla changed human civilization. Edison designed and built in New York City the first electric grid in history. Tesla and George Westinghouse developed alternating current, which allowed for transmission of electric power over long distances. They provided the human race electric power and electric light. America’s computers have transformed the world and will continue to do so. Computers and software seem to be ruled at least partly by the Uranian archetype. Philosophically, Uranus represents the freedom to create. It employs a deep level of intuition. It seeks to be free of the restriction of the old forms and ways. It often comes up with something entirely new. When Uranian energies are not used well, they can take a person or a people to extremes. Uranian influences can transport a nation into the cold extreme of collective rage, as in World War II Germany, where this madness culminated in the application of state power to construct extermination camps. The chart for the ascent-to-power of Nazi Germany, when Adolph Hitler was sworn in as First Chancellor, is an excellent example of the misuse of Uranian energy. Adolph Hitler Chart. Click for larger view. 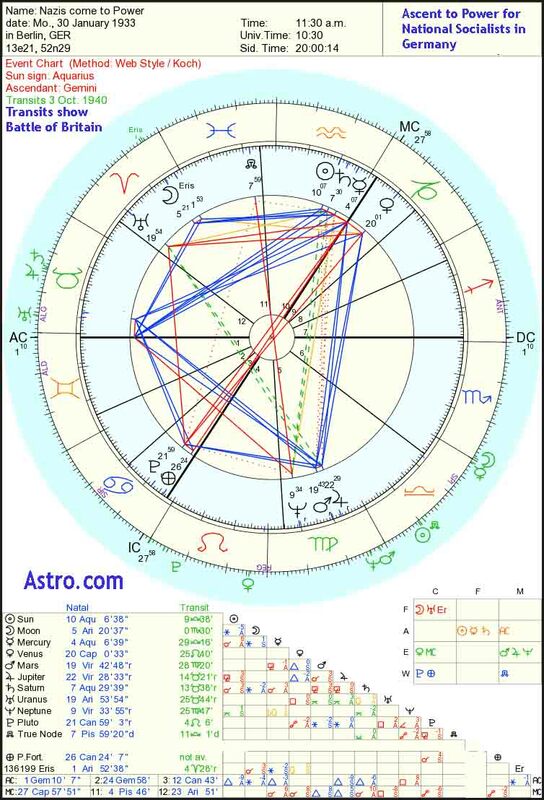 The placement of Uranus in Adolph Hitler’s natal chart is a few degrees above his ascendant. This assumes that the chart is from a primary source, which it may not be. If, however, this is the correct chart, and Uranus is placed in the Gauquelin zone of power, it makes it the single most powerful planet in his chart. Hitler is described by historians as a person who depended upon intuition all his life. He used it for war, for politics, and possibly for occult practices. In true Uranian fashion, he emerged from nowhere, suddenly, as it were, onto the stage of history. What he believed about life, about governing, about the rule of law, about the human spirit was completely different from the wisdom of antiquity, the Renaissance, the Reformation and modern liberal thought. Much of Hitler’s influence in the world was Uranian. It was in reaction to Hitler’s scientists’ capacity to construct an atomic bomb, for example, that nuclear power was developed. Where nuclear power will take human civilization is something even now impossible to determine. Generally, where a major Uranian impact is found upon the historical process, whether as part of a synodic configuration, or by zodiacal emphasis (as in the Nazi chart) or possibly from a conjunction or opposition, when it is positive, it signals the birth of something new into human civilization. Sometimes this birth enters the collective mind too soon. 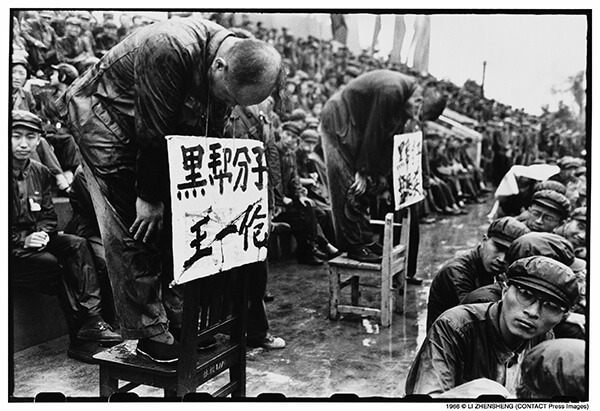 When printing was invented in China, it was put to little use, mostly forgotten. When something new enters reality it is often treated as a curiosity or a threat. When printing was re-invented in the Late Middle Ages in Europe (Gutenberg press designed and built in 1436-39), its Uranian jolt brought light to numberless minds.